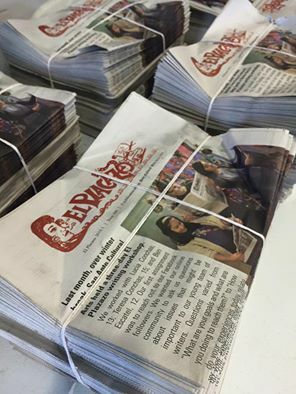 El Placazo is a community-operated newspaper designed as an educational tool for participants interested in developing skills in all aspects of newspaper production. The newspaper serves as a unique outlet for our participants to express themselves and to document their culture. Click here to learn more about how you can be involved! See El Placazo Online here. San Anto's Art Program identifies, develops and mobilizes artistically-inclined youth and young adults to create collaborative community murals and public art pieces within the San Antonio community. The goals of the program are to create and inspire collaborative, quality public art.